Back on the road again. Well, around the lake anyway! It was a beautiful morning and what I like about walking around the lake are the people both on the lake and sharing the pathway. Most people say hello when I greet them. 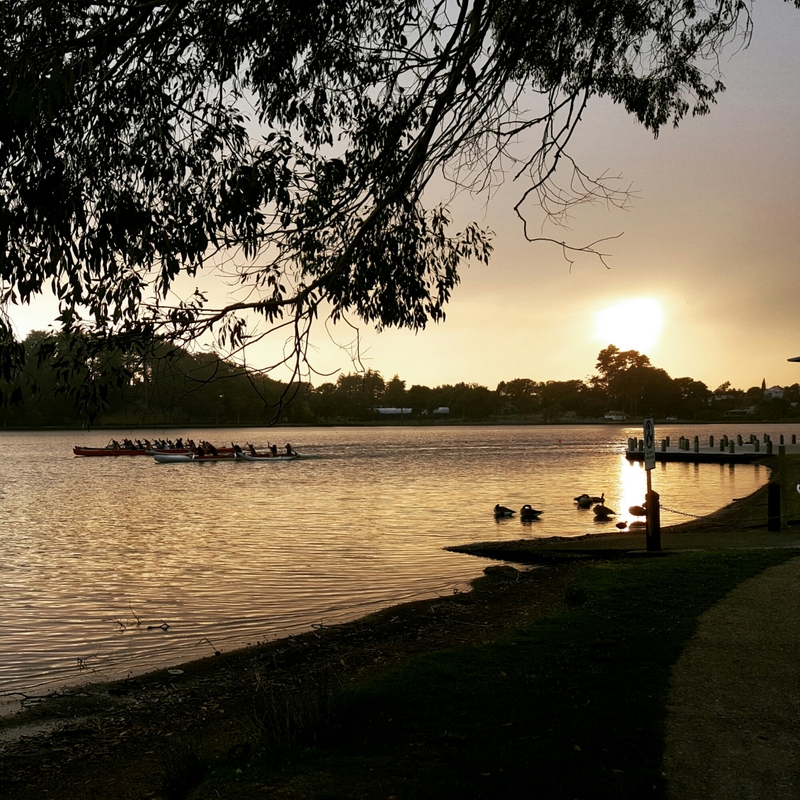 The last week or so the Waka Ama crews have been training. Love their calls as they count out the strokes.